The Japanese writing system is a mixture of innovation and tradition, as it is a combination of Chinese characters, known as kanji (漢字), and a syllabic grapheme called kana. Kana is essentially the Japanese alphabet. Each kana character represents one syllable. There are two sets of kana, which means there are two different Japanese scripts based on syllabaries: hiragana (平仮名; ひらがな) and katakana (片仮名; カタカナ). Both hiragana and katakana were originally derived from kanji characters. Download Your FREE Japanese Kana eBook! If you want to master the Japanese language and become fluent, you must learn kana first. And you need physical worksheets to practice on. This eBook is a MUST-HAVE for all Japanese learning beginners! 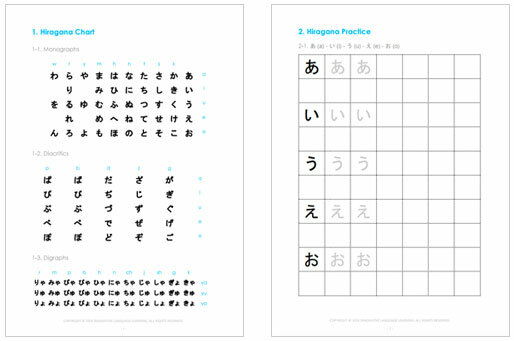 Download your FREE kana eBook today and master the Japanese alphabet in no time! This is a must-have guide for absolute beginners. Why is Learning Kana Important? In the kana, each character represents one mora, which is a bit different from the English syllable. To put it simply, each kana character requires the same amount of time to speak. Each kana consists of 46 basic characters which, along with a few modifications, can represent all of the sounds in spoken Japanese. In both scripts, the characters represent the exact same sounds, and all kana except N (ん / ン) end with a vowel. Learning how to read and write kana will consist of learning a table containing distinct symbols for 46 sounds. As a beginner, you will need to learn this in order to read and write Japanese. Hiragana is the first writing system learned by Japanese children, and thus is often the recommended system for non-Japanese to learn first, as well. Although Japanese can be written completely in hiragana alone, this is rarely done outside of children’s books or learning texts. Hiragana has a few primary uses. Okurigana (送り仮名) is the hiragana that follows kanji stems, generally used to inflect adjectives (e.g. 小さい;ちいさい; “small”) and verbs (e.g. (行く; いく ; “to go”). Hiragana characters are mostly used to write grammatical words, like particles, conjunctions, Japanese native words that have no kanji, and for words that have kanji but are more often written without it. When kanji is not expected to be known or is too formal, small hiragana is placed along the top or the side of the kanji to indicate its pronunciation. This is called furigana (振り仮名). Manga often uses furigana. Katakana may not be used as extensively as hiragana, but it provides an interesting advantage to English speakers. Gairaigo (外来語), or borrowed words, is primarily written in katakana so katakana characters are mainly used to write foreign names, corporate branding, western loanwords and onomatopoeic words. When an English speaker learns katakana, they will not only be able to read the sounds of a borrowed word, but will many times understand the meaning as well. While hiragana is fluid with plenty of curves, katakana is distinct and angular. Because of this, katakana is sometimes used to emphasize words that would normally be written in kanji or hiragana.Onomatopoeia and technical or scientific terms are also often written in katakana. 4. Why is Learning Kana Important? Usually when a beginner starts learning Japanese, they will learn it in romaji, with the pronunciation written with the Roman alphabet. A lot of materials and resources start with romaji and some don’t even show any kana or kanji. If you get addicted to romaji, you will never be able to learn Japanese. Write the words correctly and in Japanese! The question “Why learn kana?” would be the same as asking you why you wanted to learn Japanese in the first place. You can’t truly understand Japanese culture if you don’t understand the language in which the people write. Learning the Japanese writing system will give you a greater understanding of the history and culture not only of Japan but also other Asian countries such as China or Korea. 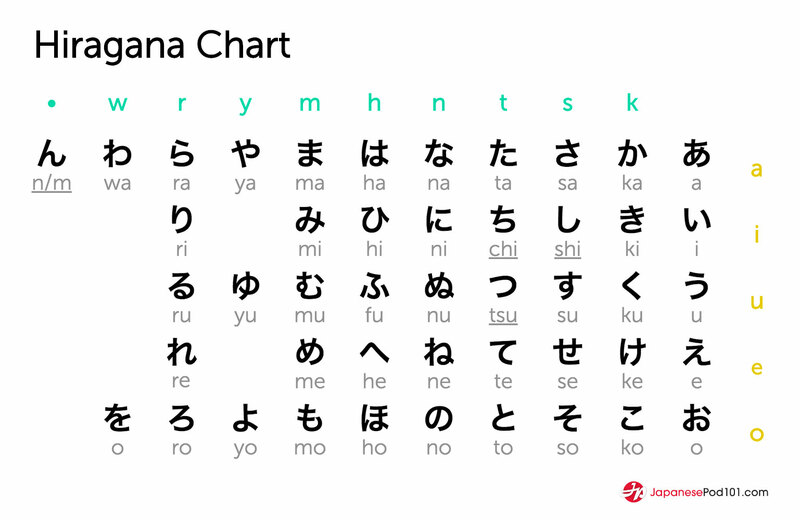 Learning hiragana and katakana characters will give you the Japanese basics you need to speak, write and read most Japanese. If you want to master the Japanese language and become fluent, you must learn kana first. Get your hiragana and katakana sheets, showing all the characters at once. 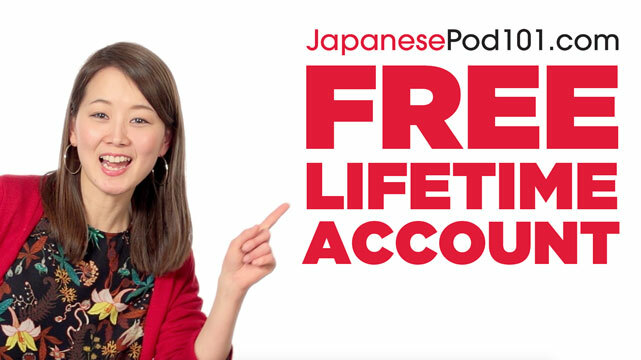 If you’re a JapanesePod101 member, you can download it for free. Click the button below! Separate each script into groups. The charts above already do it for you, and they separate Japanese characters into 10 groups. Memorize these groups, at least how they sound. You will go group by group, memorizing the romanized part (e.g. ka, ki, ku, ke, ko). This won’t be difficult as they mainly follow the same a, i, u, e, o pattern. Write them out Again and again. To learn how to properly write hiragana and katakana you have to practice. Why are we giving it away? Learning to read and write is a must for all beginners. 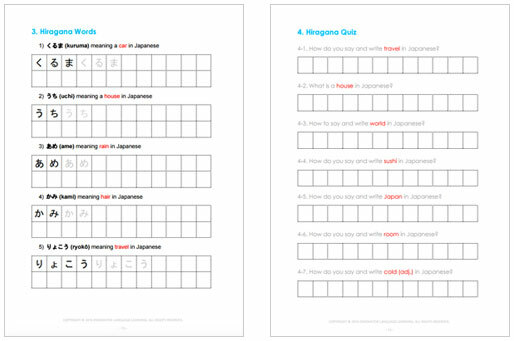 Although you get video lessons on how to write at JapanesePod101, you’ll still need physical worksheets to practice on. That’s why you’re getting this printable eBook as a gift. Now, what if I told you you could learn the Japanese alphabet even faster? 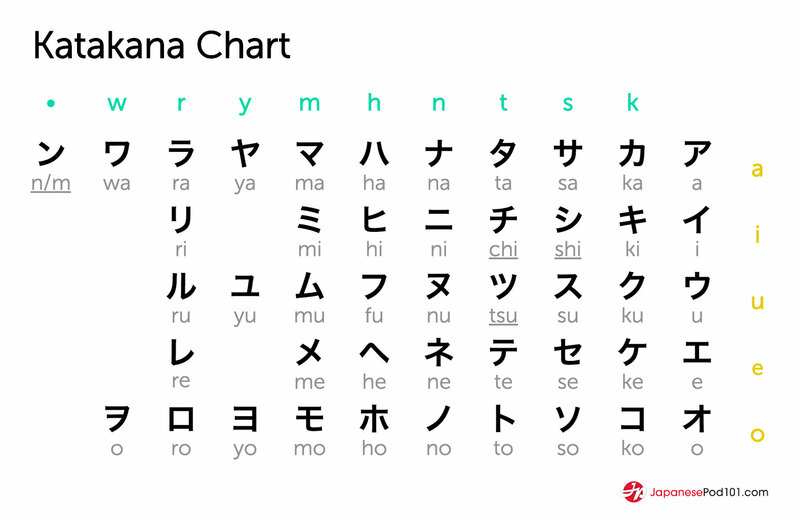 To help you master hiragana and katakana we created a series to introduce them and teach you a few words you can write with these characters. 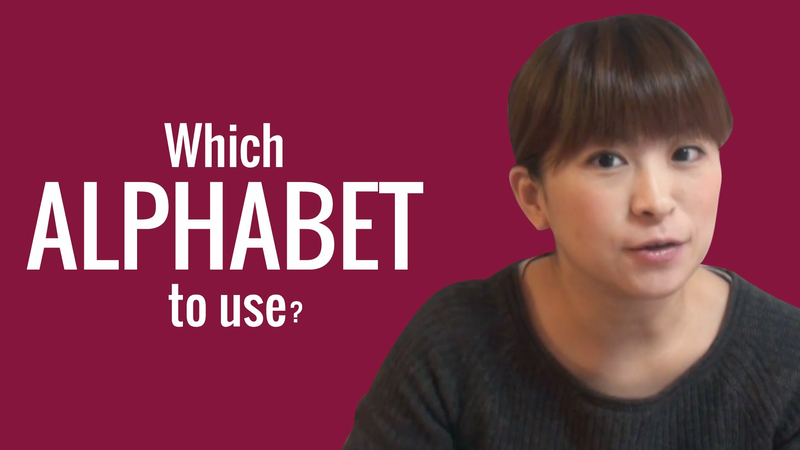 This video series gives you all the tips you need to remember the Japanese alphabet. Have you heard of Mnemonics? Each character has a memorable illustration that goes along with it, and it is an amazing method to remember characters. We use this method to make things easier for you to memorize. 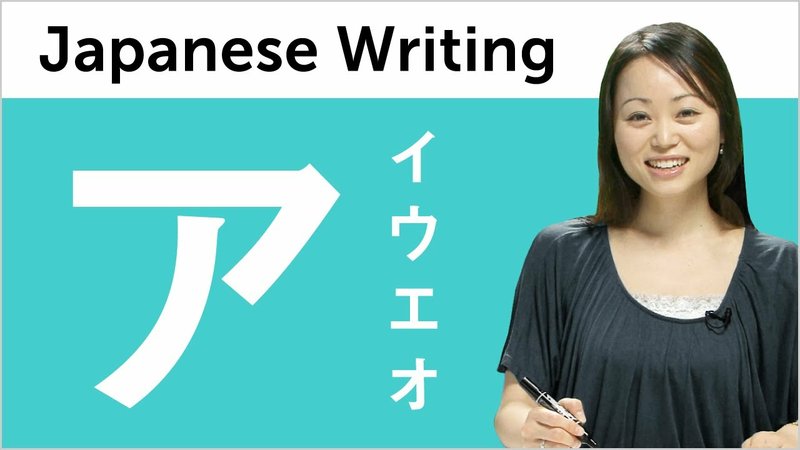 We also offer you interactive practice sections with Risa, our Japanese host, to learn how to perfectly write kana without getting bored. 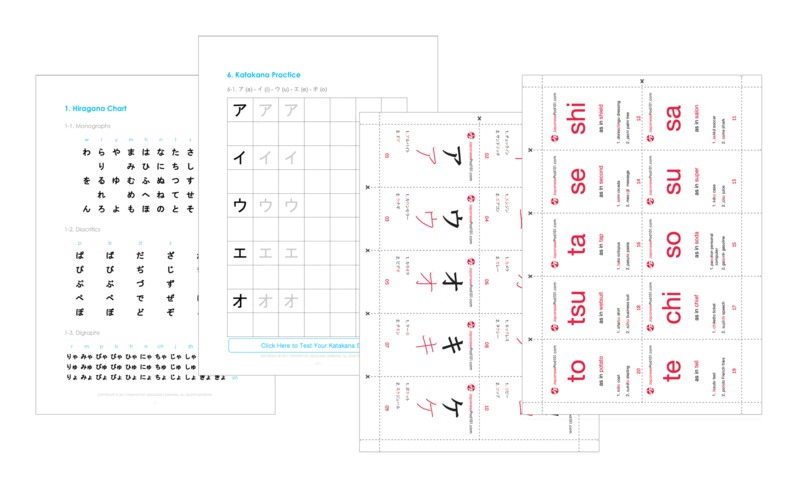 You’ll never ever have to worry again about how to read or write hiragana and katakana. 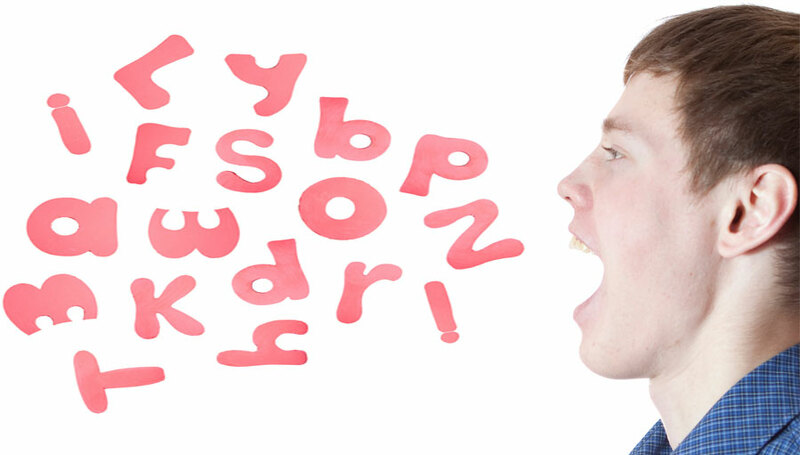 Not only will you know the basics of Japanese pronunciation but you’ll be able to identify a lot of words used in everyday life. It’s the best way to get started learning Japanese. Watch the first episode now and discover the secret to easily learning 46 kana in few hours! You’ll able to practice your Japanese wherever you want with our Flashcard feature that will allow you to master the alphabet through repetition. You can also test yourself with our Kana Quiz, and choose to practice hiragana and/or katakana. It is the perfect tool to help you practice groups of kana you still have difficulties with, as you select which one you need to work on. Select your Japanese level and enter your email address on the form on the left. Press “Join Now” to sign up for your Free Lifetime Account. You’ll get a confirmation email. Please confirm by clicking the link inside. Download your kana eBook on this kana page. 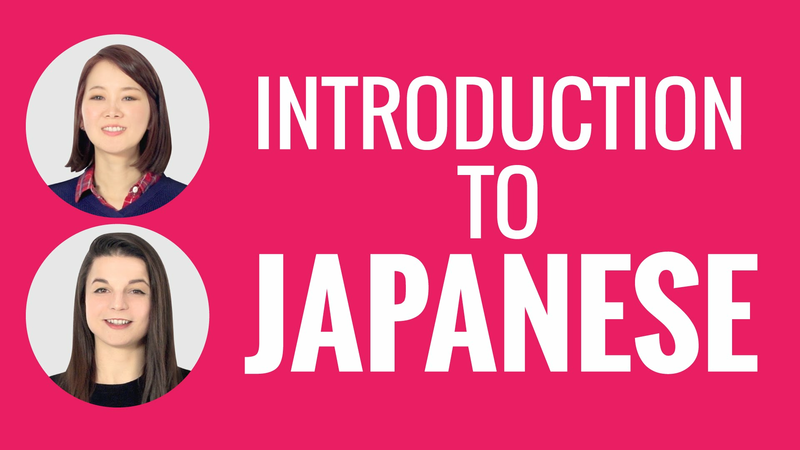 Start learning Japanese with JapanesePod101 & your free eBook! Want to learn about the Japanese writing system? Written Japanese has three scripts: hiragana, katakana, and kanji, which is the most difficult to master. With this series, you’ll learn all about how to write in these first two easier scripts. You’ll be writing in Japanese in no time! Want to learn Japanese? Don’t know where to start? This is it. The Introduction to Japanese Video series is perfect for those who know zero Japanese but want to take that first step. In this 5-lesson series, you’ll learn all about the Japanese language, as well as grammar, writing and phrases to get you started. 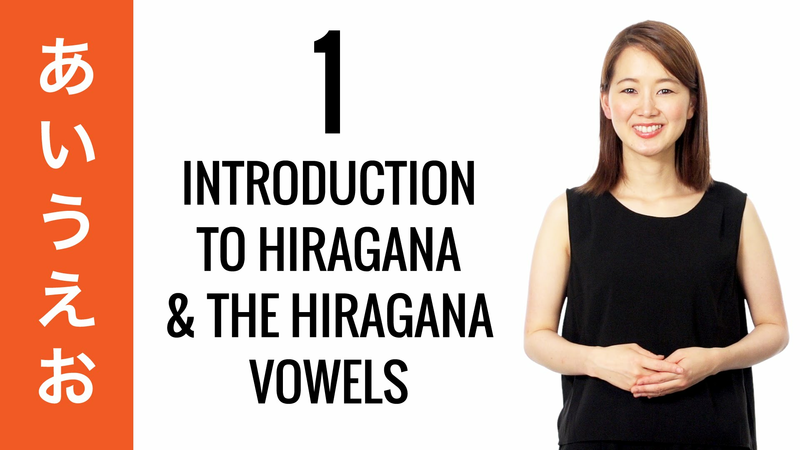 In this series, you will learn both Hiragana and Katakana, collectively known as Kana.We will teach you Kana using simple steps, showing you the correct stroke order, helpful tricks for memorization, and proper usage in common Japanese words.